1. A new website feature! 14. 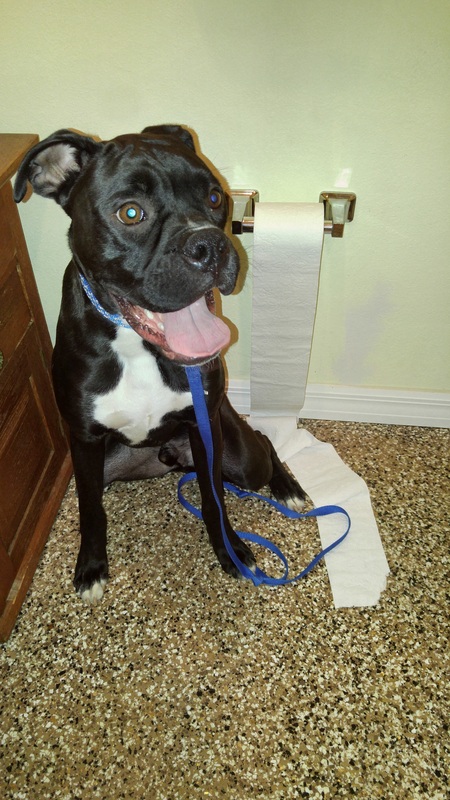 Sherman has been to us several time for his toilet paper addiction. His mom sent us this picture and said he is now being called "Charmin" at their house! 08/07/2015 Our resident cats are part of our Ark family. 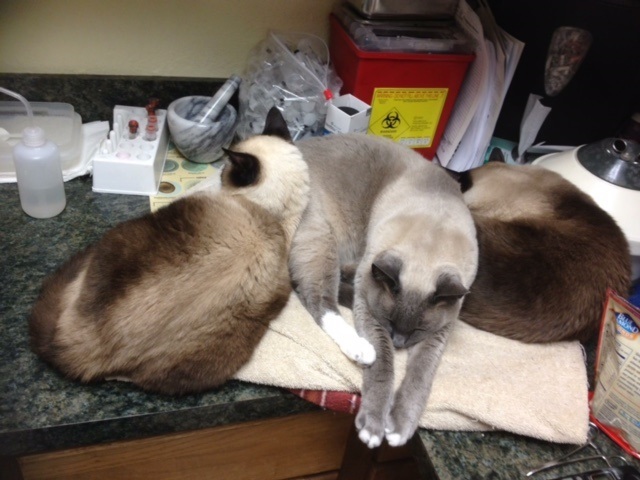 Pikachu and Lyle are retired blood donor cats rescued by Tim when he ran a local animal emergency clinic. Now the boys are living a pampered life at Ark where the staff and clients spoil them rotten. Ping was a later addition. She was also a rescue that decided she wanted Ark to be her home. She can be seen and heard the most, inviting herself into exam rooms and begging for attention (because we ignore her, ha!). 08/07/15 Our staff take the name "Ark" literally as we all have a house full of pets. 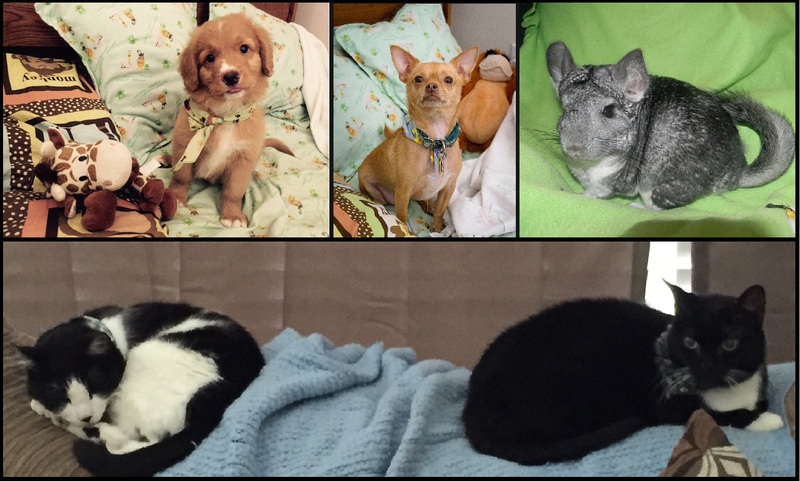 Indira and her husband share their home with their 2 dogs- Archimedes a Nova Scotia Duck Tolling Retriever, Chuy a chihuahua (rescued from Ark), their chinchilla Pandora and 2 cats- Henry and Mrs. Whiskers (both rescues). 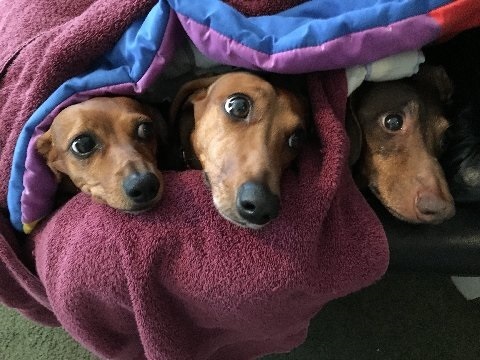 Their house is lovingly known as the "island of misfits" because they only bring special needs animals into their loving home. 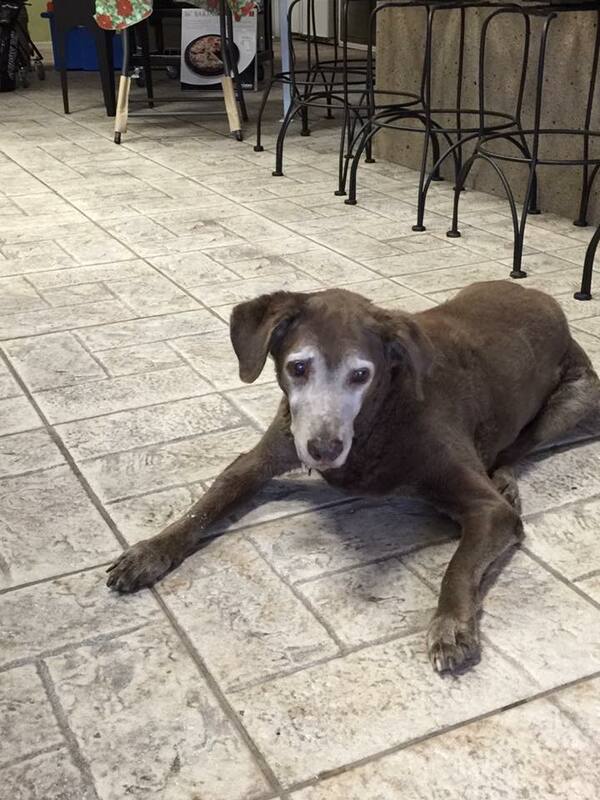 Chessie crossed Rainbow Bridge a few months back but not a day goes by that we don't think about her. 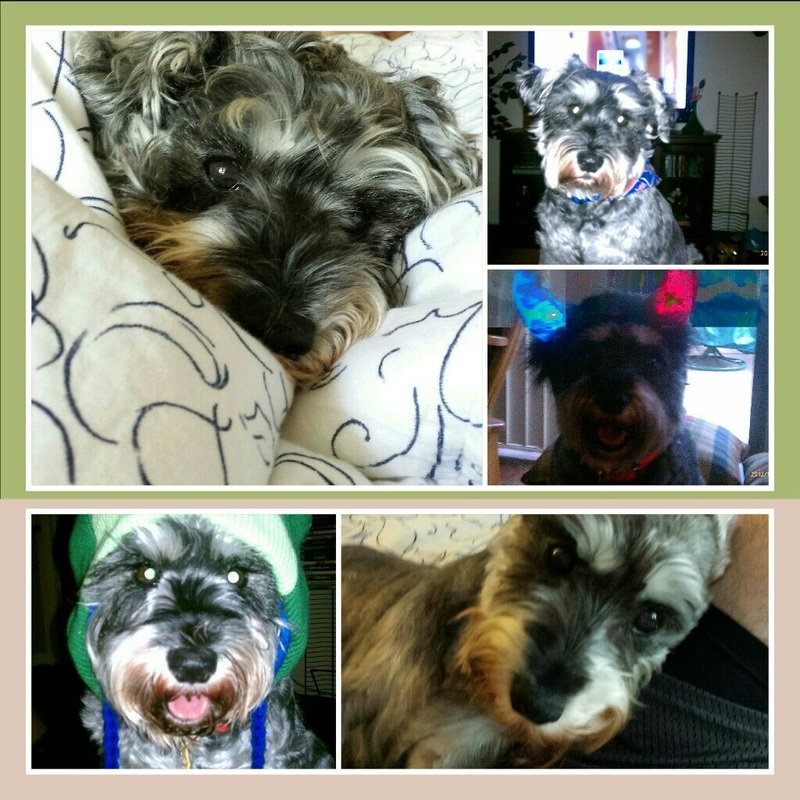 Ark always took good care of our 'ole girl and today -- National Dog Day -- is perfect to remember her. 08/28/15 Rocky's mom Jody informed us that he passed away this week. The Heatherly's are fosters and HUGE supporters of boxer rescue. Our hearts go out to your family. 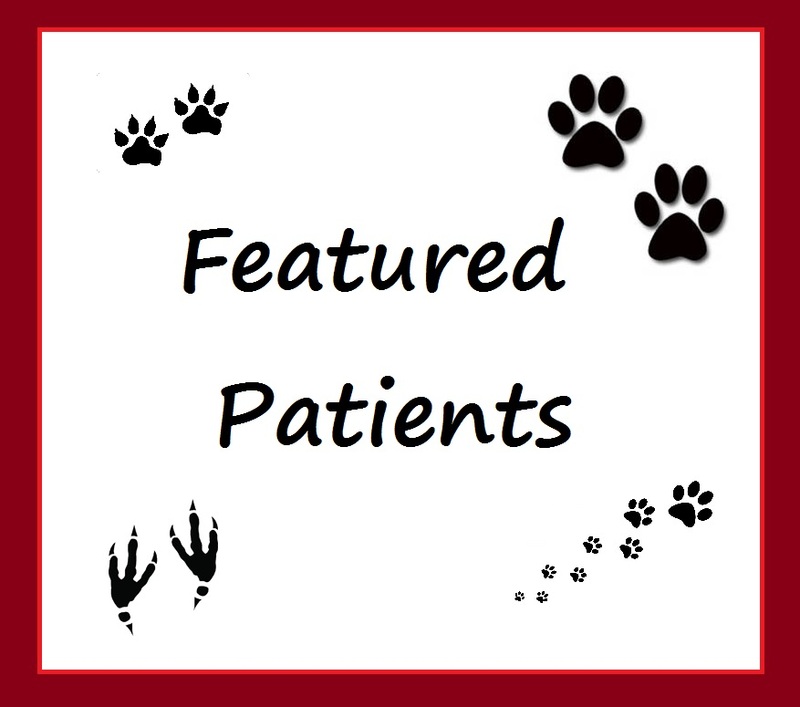 09/05/15 This week's patient feature is Diesel Calloway. He is a 5 year old french bulldog. He came to visit us last night with his mom and he was such a trooper. 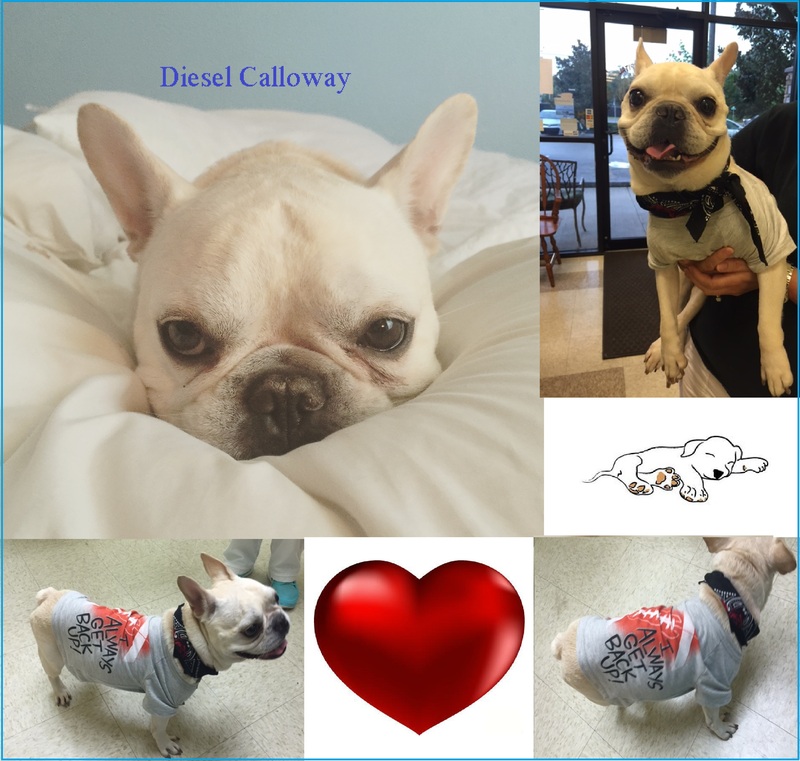 Diesel's mom also sent us a cute photo of her little love dreaming. 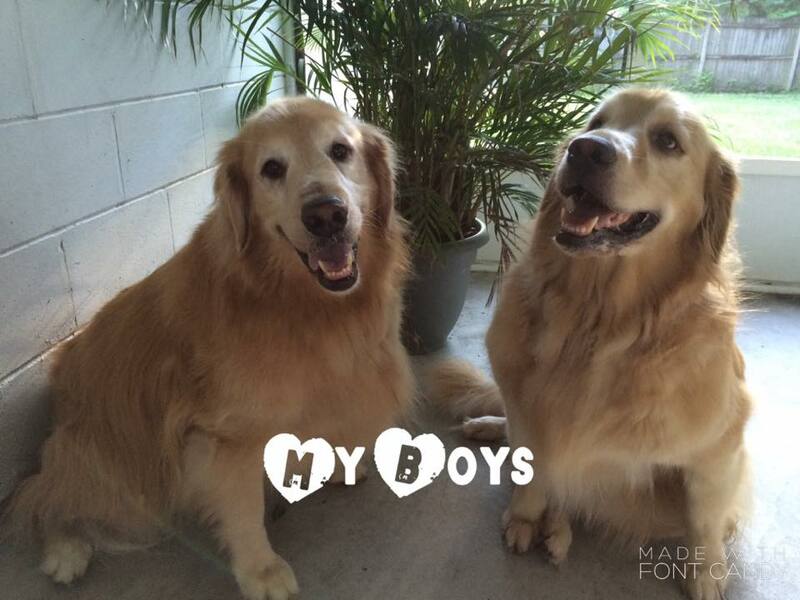 Ben and Tony Schwartz are our featured pets this week! 8. 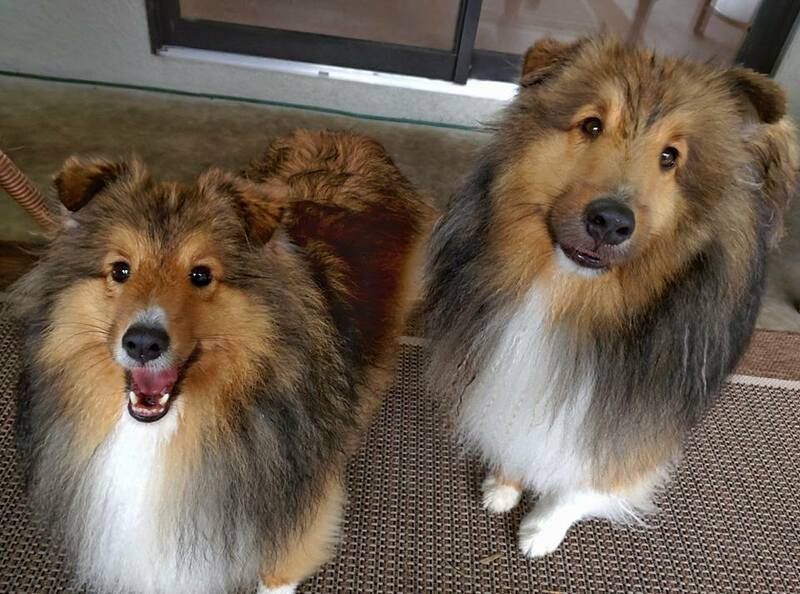 09/12/15 Bishop and Ripley Decker are our pets of the week! 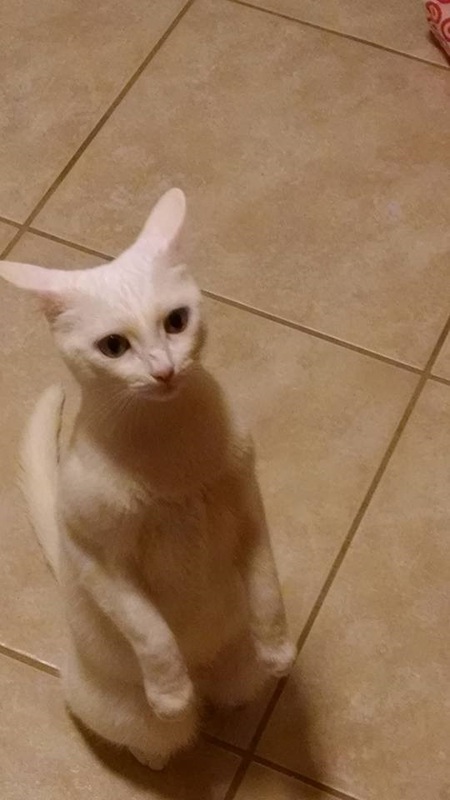 This is what she does when it is time to eat. We think she looks like Yoda! 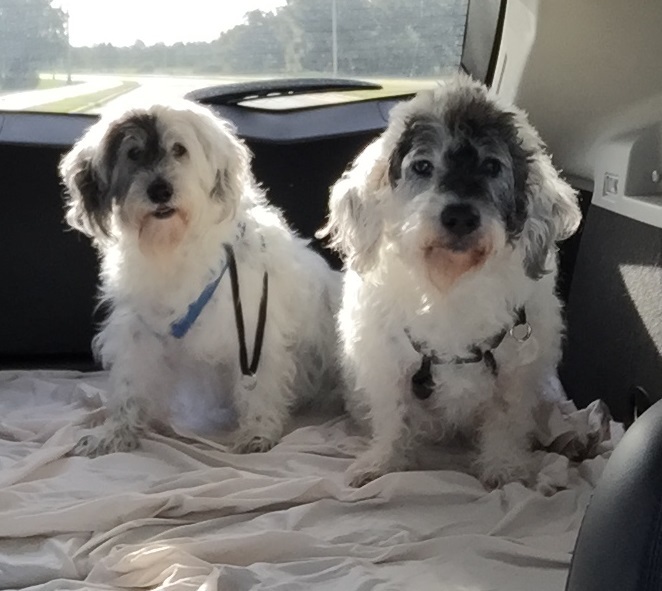 we are twins, birthday July 15th , we will be 13 in 2016, from winter haven human society, found Tim and Ark thru mutual friends and Dr Nichols helped Sophia to diagnose her a addisons disease, and surgery on Dottie to remove cyst, the best vet there is and we love the new location!!! Tim and I are very grateful for the best care for our girls!! 13. 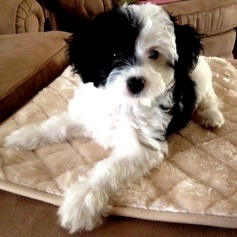 Juney will be three months old on November 16th. 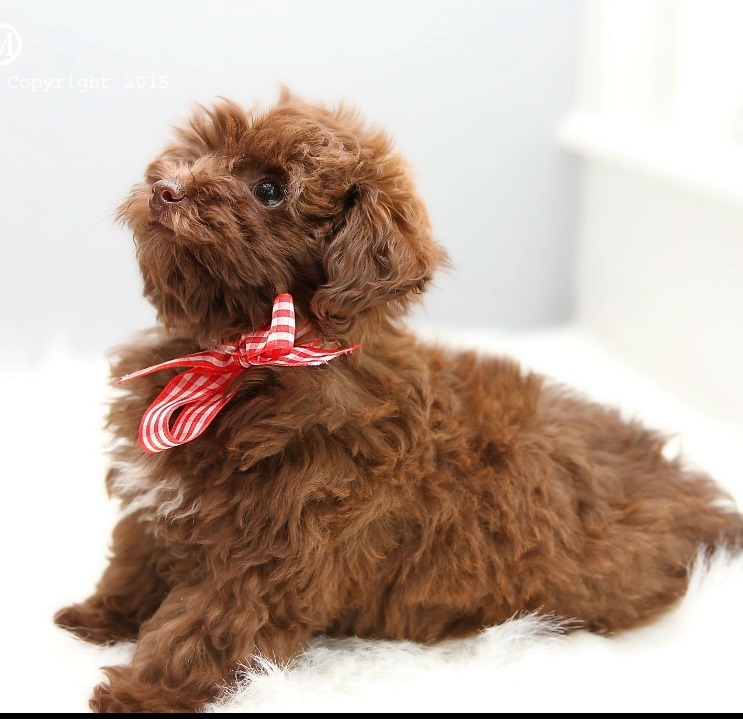 She is already housebroken, knows and follows the commands of sit, come and stay, sleeps through the night, and walks well on a leash. She loves people and enjoys playing with her new pal, Rusty, Denise and Gary Palmer's chocolate lab. 9. 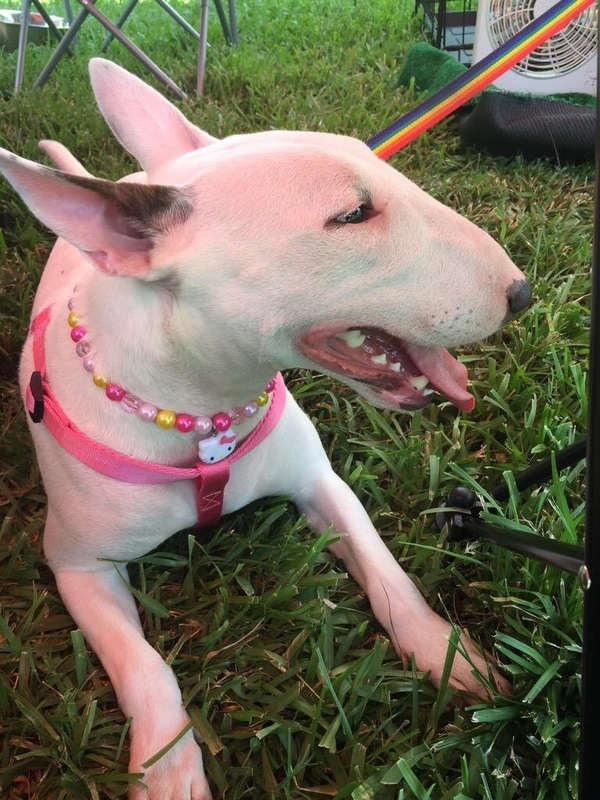 Lola Bunny is a new addition to her family's home. Her human siblings are all gown up so she keeps mom and dad busy. 10. 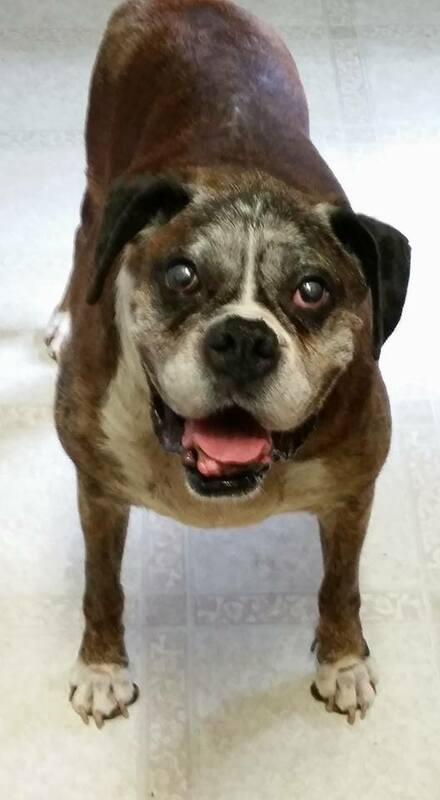 Sherman Swafford is a reverse brindle boxer. 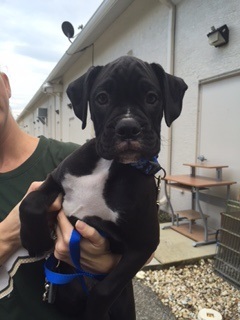 His parents love boxers and his mommy is part of Boxer Rescue Angels of Florida. 13. 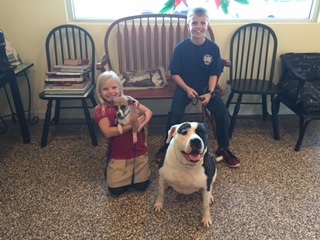 Stella's family brought their new brother Willie in for a check-up. He was adopted from Animal Services. Stella and Willie are definitely an odd couple but are making their family very happy.